On 9th August 2010, 33 teams from 21 countries were dispatched to search for the Lost frogs identified by Conservation International. On their list were a host of species including, in the top ten most wanted, the Rio Pescado stubfoot toad, found only in Ecuador – which was to prove a triumphant rediscovery. Several months, a number of key rediscoveries – such as the Elegant tropical frog, last seen in 1937 and the Chalazodes bubble-nest frog – last seen in 1874 and two new species later, the Search for Lost Frogs had generated more than 650 news articles in 20 countries and over a billion potential viewers. 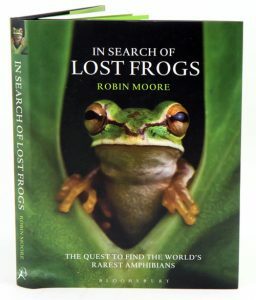 Author Robin Moore was responsible for spearheading the Search for Lost Frogs and coordinating the teams. He also co-led two expeditions to Colombia and Haiti. In Colombia in search of the Mesopotamia Beaked Toad, the steamy jungles of the Choco yielded not the desired species but a brand new one – the Mr. Burns Toad, so-called because of an uncanny resemblance to the Simpsons’ character; the species was selected as one of Time magazine’s top ten new species of 2010. In Haiti the team found six frogs last seen 20 years before, including the Ventriloqual frog, named for its ability to throw its voice. This fascinating new book tells the story of the expedition – its highs and lows, discoveries and failures and the campaign’s ongoing work. Despite the campaign, one third of the world’s amphibians remain threatened with extinction. Most of the species searched for were not found. But those that were provide a glimmer of hope. Understanding why these species have survived when many others have not should help us understand what makes these species different. 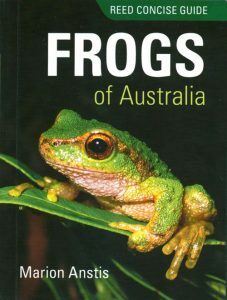 In Search of Lost Frogs is a story of perseverance, disappointment, rediscovery, resilience, but ultimately of hope, written with passion and illustrated with the author’s superb photographs. Artist/Author: Jovanovic, Olga et al. 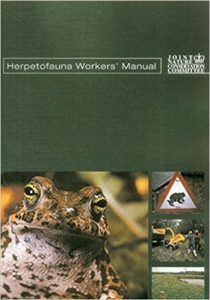 This laminated pocket guide with over 30 colour photographs to identify species and individual maps for locating them is the tool to have on hand. In addition, descriptions for each species, the type of habitat where it can be found and conservation status is listed. You can use the checklist to note the location and date of the species you find. Tadpoles of Africa: the biology and identification of all known tadpoles in sub-Saharan Africa. Artist/Author: Channing, A., M. O. Rodel and J. Channing. Tadpoles are recognized as the larval forms of frogs in most parts of Africa. Despite this, they are rarely associated with the correct adults. Tadpoles are not well known, and one of the aims of this book is to demonstrate how interesting their morphology and ecology is, as well as to provide some assistance with identification. 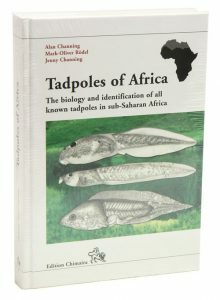 Although this book deals with tadpoles of sub-Saharan Africa, important literature that explains important features or functions, based on tadpoles from other countries, has been consulted. For nearly 100 million years amphibians and their ancestors dominated the terrestrial and shallow water environments of the earth. Archaic animals with an amphibious way of life gave rise not only to modern frogs, salamanders, and caecilians but also to the ancestors of reptiles, birds, and mammals. In this landmark publication, one of the leading paleontologists of our time explores a pivotal moment of vertebrate evolution, the rise of amphibians. Synthesizing findings from the rich and highly diverse fossil record of amphibians, Robert Carroll traces their origin back 365 million years, when particular species of fish traveled down an evolutionary pathway of fin modification that gave rise to legs. This period of dramatic radiation was followed by a cataclysmic extinction 250 million years ago. After a long gap, modern amphibian groups gradually emerged. Now the number of amphibian species and individuals throughout the tropical and temperate regions of the earth exceeds that of mammals. 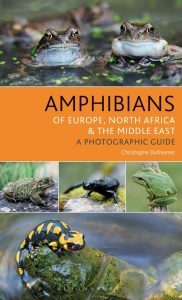 The Rise of Amphibians is documented with more than two hundred illustrations of fossil amphibians and sixteen exquisite color plates depicting amphibians in their natural habitats throughout their long existence. 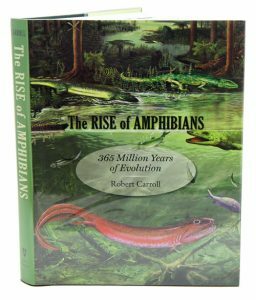 The most comprehensive examination of amphibian evolution ever produced, The Rise of Amphibians is an essential resource for paleontologists, herpetologists, geologists, and evolutionary biologists. Artist/Author: Starosta, Paul, and Teddy Moncuit. 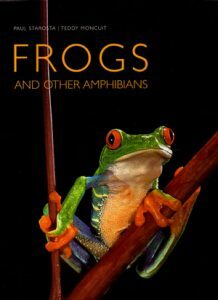 Features colour photographs of frogs and amphibians of various shapes, sizes and colours. The systematics and zoogeography of the amphibia of Borneo. 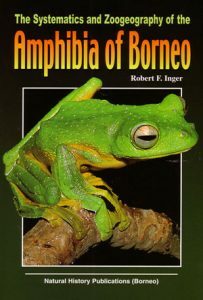 Borneo, the third largest island in the world, has the largest known amphibian fauna in Sundaland, the portion of the East Indies lying on the continental shelf of Asia. This monograph was the first attempt to summarize knowledge of that rich tropical fauna. It presents full descriptions of all species, including eight described for the first time. It covers taxonomic, ecological, and biogeographical relations of each species, including what was known of the tadpoles of each species. It includes keys to the families, genera within families, and species within genera.